Our process follows the strictest industry guidelines set for the handling of cremated remains. We track every bead made with this process and maintain records to certify the chain of custody of all the cremated remains that are handled by Heartsong. After following the Heartsong Memory Beads Chain of Custody process we can create the Heartsong Memory Beads Chain of Custody Certificate for you. 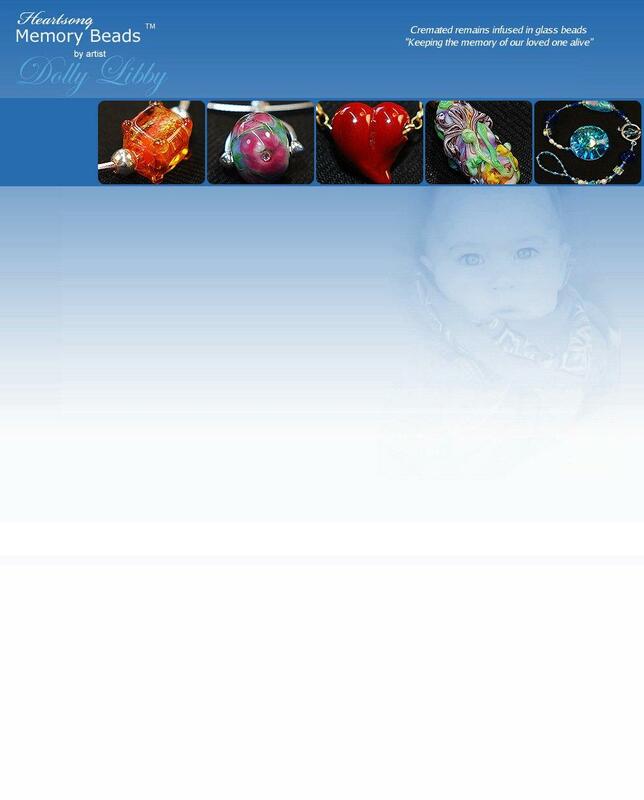 Select the beads you would like from the Memory Beads page (link to memory beads page). You will choose from a set of designs from elegant to simple and masculine to feminine. The beads are available in a variety of color and size options. Fill out the Memory Beads Order Form and send it to us. This will begin the process of commissioning your beads. We will email you with an acknowledgment of the order. We will clarify the details of the order and determine the total amount due via email or phone as necessary. We will send you an invoice for you selection with the sample collection kit. We offer a variety of ways to make your payment. Checks Send a check to us. When you receive the package you will fill the Cremated Remains Container with a small, 1/2 tsp, amount of the cremated remains using the spoon and container that came in the package. First put the name of your loved one on the container. Handling cremated remains is safe. The material is the consistency of course pepper and very easy to scoop and transfer to the container. Seal the container securely. Put the container in the return shipping envelope that also came in the package. Follow the directions enclosed to seal the shipping package for Registered Mail. The envelope is pre labeled for shipping. With the package you also received the USPS Registered Mail form already completed for your convenience. Take the shipping package and the form to a convenient US Post Office near you. You have to take both personally to the Post Office to register the package. The US Post Office will send the registered package to us. We will hand receive the package and sign for it from the USPS. After we sign for the registered mail our Tracking Records are updated to show that the cremated remains were received. The boxed bead settings and the Cremated Remains Container are packaged for shipping to you. All unused cremated remains in our care after the bead making process is complete are returned to you with the commissioned beads in the same container you filled. There is no unnecessary handling of the cremated remains. The package is taken to the USPS and is sent by Registered Mail back to you. You will receive an email notifying you to expect the registered mail package to receive and sign for. The Tracking Records are updated to show that the beads and your cremated remains have been sent to you.